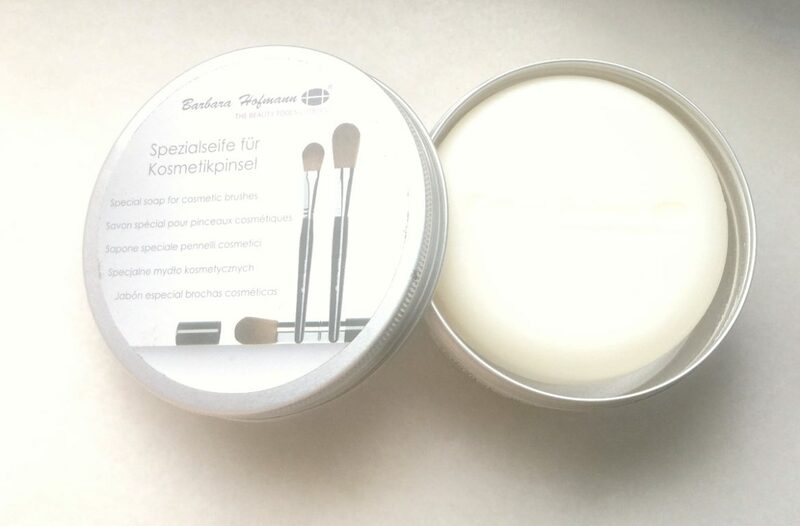 Hello my lovely readers, today I’m back with a short and sweet review on a make-up brush cleaning soap I have almost finished, the Barbara Hofmann make-up brush cleaning soap found at Douglas. Let’s find out more. 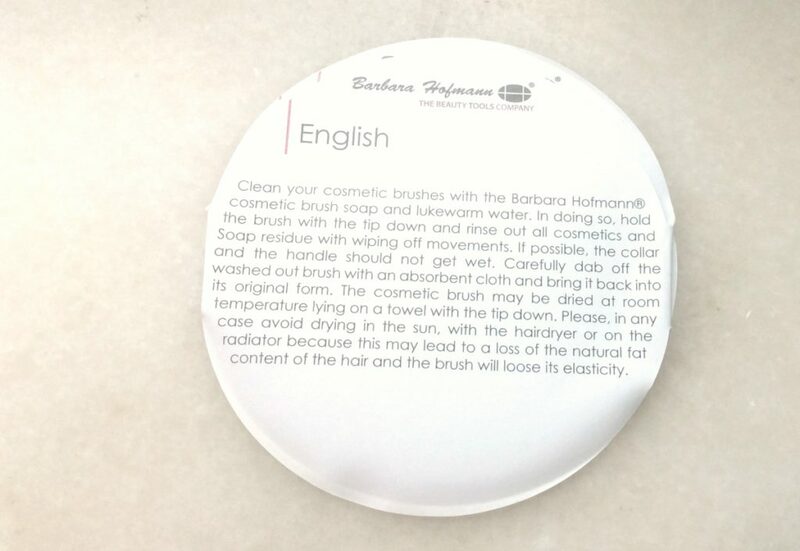 Barbara Hofmann is a family-run business selling high-quality cosmetic brushes and cosmetic accessories since 1985. They promise high-quality, the finest materials and careful workmanship of the products which are partly hand-made. Its location is in Flieden near Fulda (Hessen, Germany). 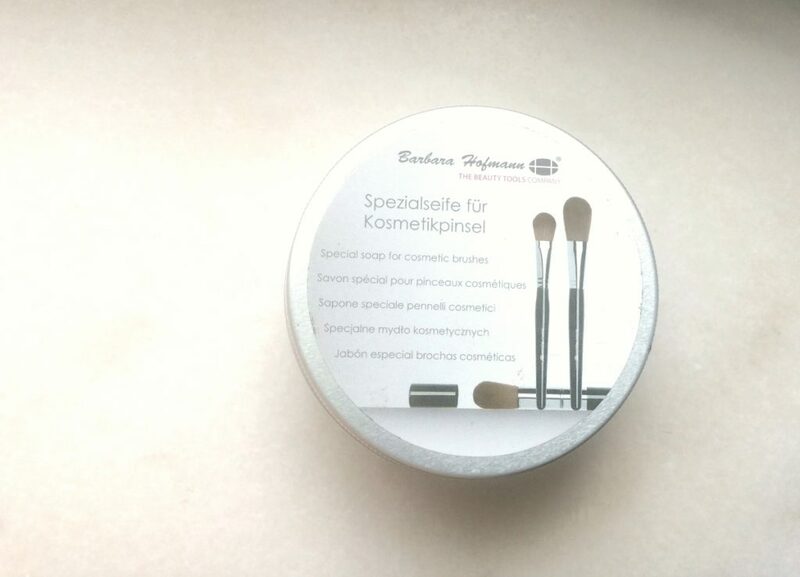 Barbara Hofmann make-up brush cleaning soap comes in a very useful and travel friendly 100 ml tin box with 12 months valability. 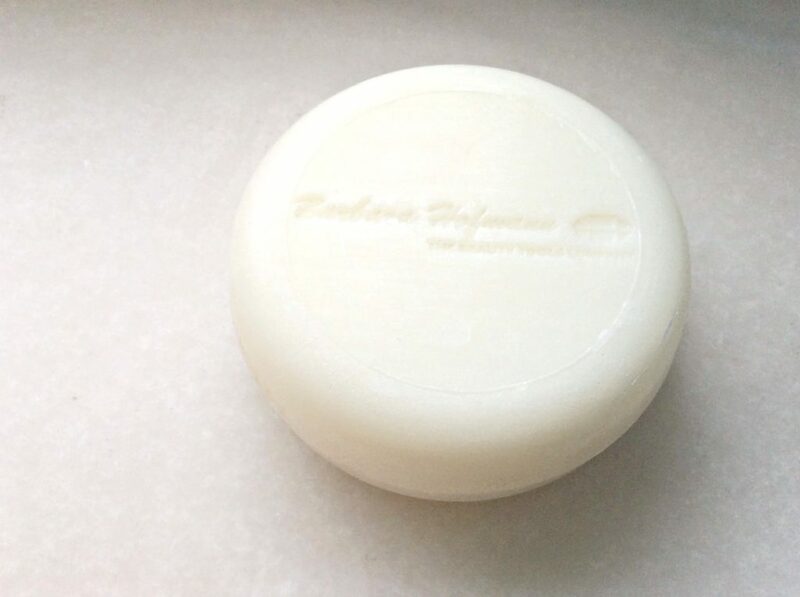 It is a hard soap for your wet brushes to be brushed onto, afterwards they lather well, and if you rub gently the soap on the bristles it removes all the dirt from the brushes. It has a very pleasant fresh lemon scent that is quite discrete. You can keep it in the tin or someplace else. 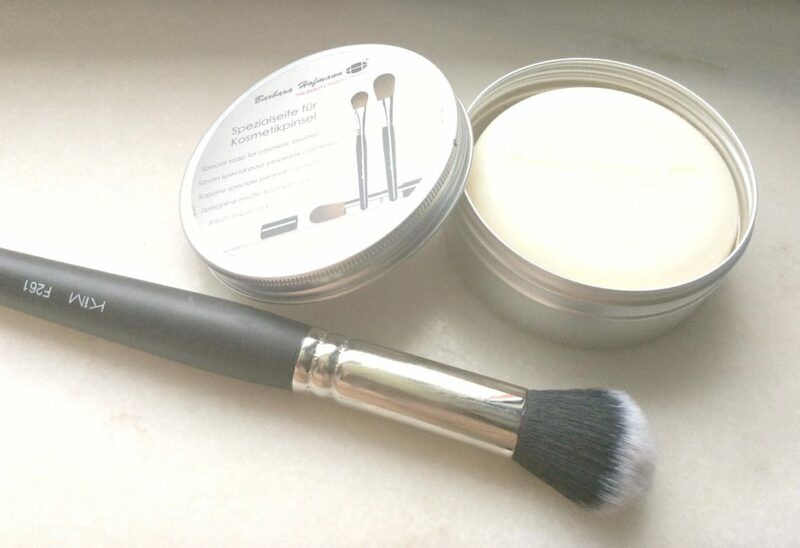 I like this brush soap very much, it even cleaned my Revlon Colorstay foundation from my brushes after several sessions of soap and rubbing (it is well known to permanently stain the brushes). For me this is the ultimate test. All my brushes were perfectly cleansed and smelled discretely of lemons. 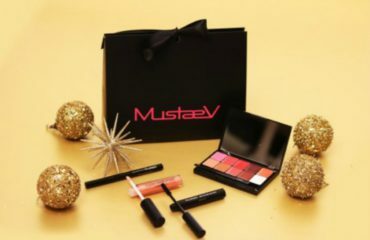 I like the fact that it is compact and easy to carry around, the cap tightens so it cannot get into the bag (the fact that it is solid is also helpful) and what I like most is the fact that it is so easy to use and so effective in removing all make-up and foundation off my make-up brushes. 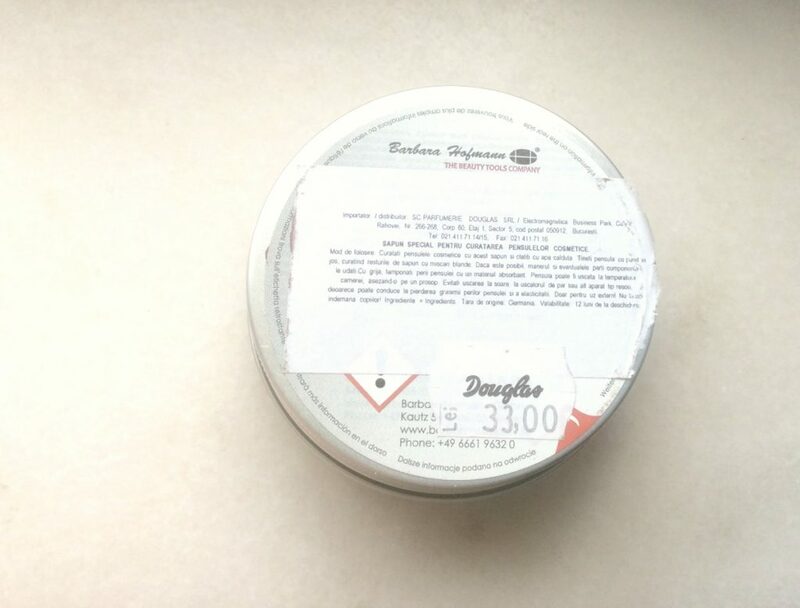 You can find it in all Douglas stores and online at the price of 33 ron/9.95 eur.